The Chancellor addressed Parliament yesterday, announcing the Autumn Budget for 2018, where he acknowledged the High Street is "under pressure as never before" and said he believed the tax system for the digital age must be revised. Commenting initially, Chief Executive of the BRC, Helen Dickinson OBE said: “The Government has missed a much-needed opportunity to help the retail industry. While we welcome measures to assist smaller retailers, the majority of the UK's 3.1 million retail workers are employed in businesses that will not benefit from today’s business rates announcement. Small retail businesses will see their business rates bills cut by a third for two years from April 2019, saving them £900 million. Local high streets will benefit from £675 million to improve transport links, re-develop empty shops as homes and offices and restore and re-use old and historic properties. Public lavatories will receive 100% business rates relief. This adds to previous reductions in business rates since Budget 2016 which will save firms over £12 billion over the next five years. Helen Dickinson commented: “While we welcome the temporary support being given to small businesses, these measures alone are not sufficient to enable a successful reinvention of our high streets. "Retailers are currently in the midst of a perfect storm of factors – technology changing how people shop, rising public policy costs and softening demand. From April, large businesses will be able to invest up to 25% of their apprenticeship levy to support apprentices in their supply chain. Some employers will pay half of what they currently pay for apprenticeship training - from 10% to 5%. The government will pay the remaining 95%. On the reform of the Apprenticeship levy, Helen Dickinson said: “While the Chancellor’s recent announcement to review the Apprenticeship Levy is positive, retailers need action now before levy funds expire. The Levy is not fit for purpose as retailers are unable to fully utilise funds. Businesses need the lifetime of funds to be extended while standards are finalised and more flexibility to use levy funds to cover the cost of backfilling roles while apprentices are off the job. Chancellor Philip Hammond spoke of the necessary action againt single-use plastic in Parliament yesterday: "At the Spring Statement [I said] that we must become a world leader in tackling the scourge of plastic littering our planet and our oceans. Billions of disposable plastic drinks cups, cartons, bags and other items are used every year in Britain." A new tax has been introduced on the manufacture and import of plastic packaging which contains less than 30% recycled plastic, "transforming the economics of sustainable packaging." 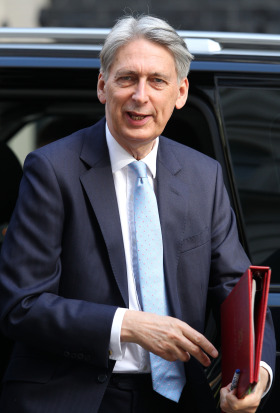 Mr Hammond has said he will "monitor carefully the effectiveness of the action the takeaway drinks industry is already taking to reduce single-use plastics and I will return to this issue if sufficient progress is not made." Helen Dickinson commented: “The UK retail industry is leading the way in protecting the environment by reducing single-use plastic and retailers will welcome the support to make this happen. A detailed report on the Autumn Budget can be found in the November 9th issue of DIY Week Magazine.